It's that time of year again! 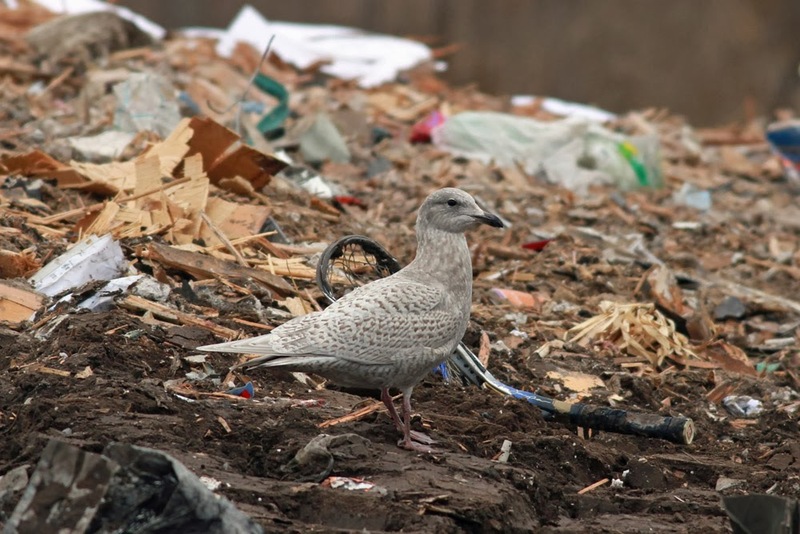 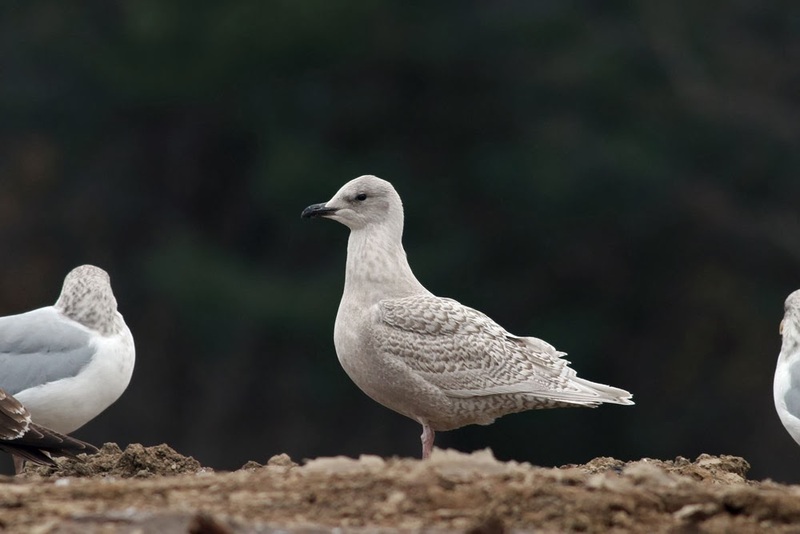 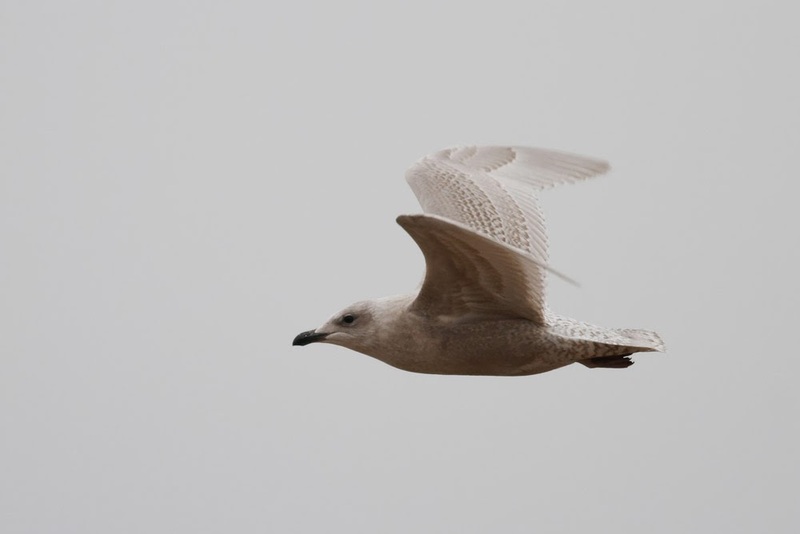 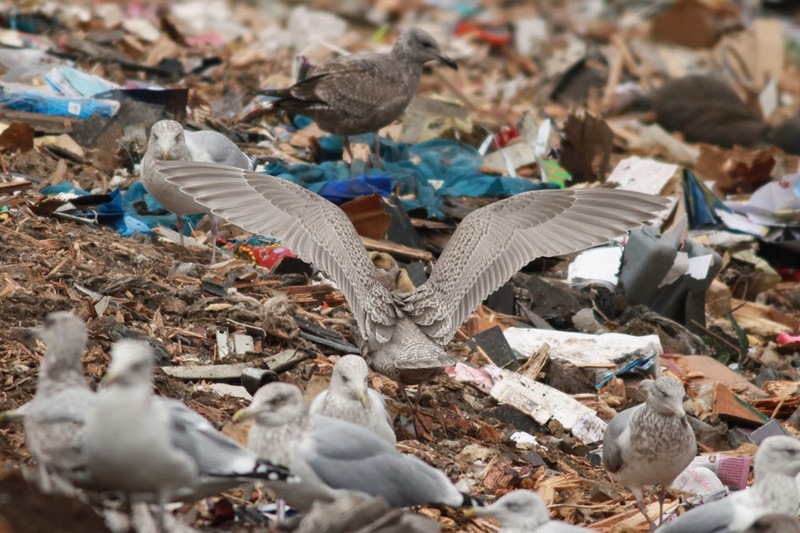 I made my first landfill visit of the season yesterday, and despite low numbers overall (~250 large gulls present at any given time) there was a nice flurry of at least 4 first-winter Iceland Gulls. One darkish bird, one very white bird (not around long enough to photograph), and at least two in between. 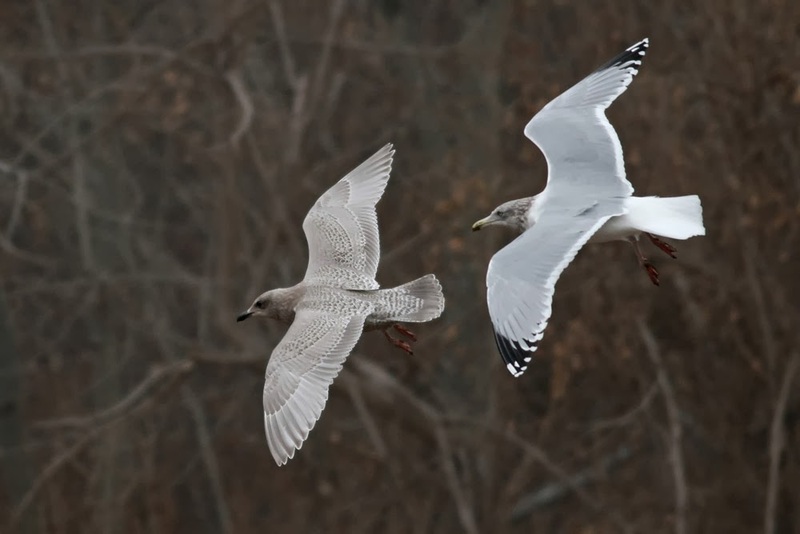 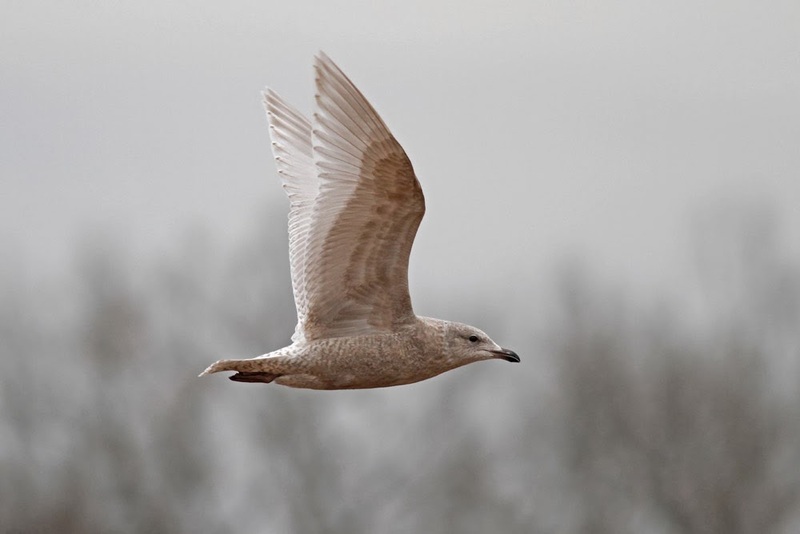 There appears to be an above-average number of first-cycle Iceland Gulls around so far this year, so perhaps this will bode well for a fun gull season.